It isn’t often that something I see, in regards to the Craft, makes me lose just a little faith in humanity. And I think that somewhere along the way, we missed the opportunity to make a difference. The other day, the moderator of a Facebook group for Masons made a post stating that posts of a “religious” nature would be taken down so as to not offend anyone that may feel excluded and that they considered the internet talk group the same as a Lodge room and thus the “religion & politics” doctrine pertains. First of all, the internet is not a tyled lodge room so the same rules do not apply. This is the internet. Any attempt to compare the two is beyond outlandish. Second of all, Masonry is, in fact, inclusive of all religions. To say that a religious post will be removed because it may offend someone simply because it is religious in nature tears the roots of Masonry as an inclusive, accepting and tolerant society out of the ground. I do believe that if most (not all) of you actually take a second and bring yourself down on to the Level and read your GL doctrines, the Holy Bible is specifically referenced as the VSL (Volume of Sacred Law) that must be on the altar and any others that a Brother would like can join it on the altar. At least it is in my GL, as it is in many of the Grand Lodges in the United States. Regardless, this was not exactly a correct post in the spirit of the Craft. In my humble opinion, anyway. “Personally if someone wanted to post a positive scripture quote that can edify a mason to be a better man, no matter what Holy book it comes from so be it. Our rituals and degrees have religious overtones all over. If one, or all Holy Scripts can be open on our alters, then a post of positivity (not for promotion of a particular religious sect) that can make a man better, help him, or enlighten him, the better he is for it." I was blown away, to say the very least. 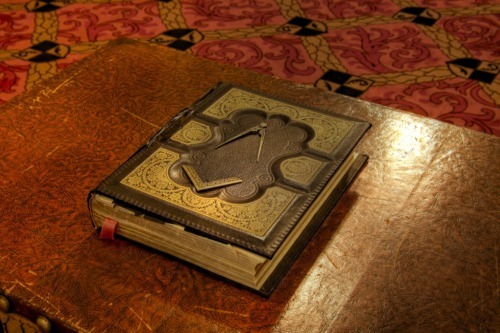 “I have sat in Lodge when 4 sacred scriptures were placed on the Altar of Free Masonry due to the different faiths present. Please remember that your lodge opens on Old Testament passages only. Masons do not practice religion, but require that members believe in deity which is described as the Supreme or Grand (depending on your Grand Lodge) Architect of the Universe. Blue Lodge Masonry does not identify any religion by name in any ritual. I have been honored to sit with Muslims in Lodge. They were good men, just and upright in their beliefs and manner." "Sadly, I would rather be in their company than yours due to your posted statements in this site. They are definitely un-Masonic." "I sincerely whisper this counsel into your ear: please go back and study your obligations in the three degrees. Some how you appear to have missed their meaning." I will not share the names of the people making these comments or the Lodges that they say the hail from… I will say that the Brother that would rather walk away from Freemasonry because of the choice of VSL one would make does attend under my same GL jurisdiction. I am throughly disgusted that such an opinion exists within Masonry today. This just goes to show that religious extremism is alive and well in all sects of religion today. It is supposed to be Freemasonry that fosters the tolerance and acceptance of those that are different than us. Saying that about a Brother that wants to take his obligations with a different VSL is so anti everything Masonry stands for. There are Brethren in other Countries that have given more and risked their lives just to attend Lodge than anyone in America can understand. Just like in Germany during WWII when Brothers went "underground" and had to stop using the S&C as identification and opted to use the Forget Me Not flower instead. I will close with this, we as Speculative Masons are charged with certain obligations. Among these are the application of the working tools of Operative Masons to the world we live in. I would challenge every Brother to reread his obligations and the lessons contained within the degrees of Blue Lodge. There are only very certain times, people and instances in which your obligations do not apply. And these obligations are not just to Brothers, sisters, mothers and so on… they are to extend to everyone as long as it is within your cabletow. Use that trowel to spread the cement of brotherhood. Be the example, be the Light for all others. It is 2015, these are not new ideas by any means. Grow up and move on...or get out of the way. He should have played in a World Series, but never got the chance. His best hope ended when the Cubs collapsed in the last month of the 1969 season, and he had to watch the Miracle Mets win it all. Even then, he was not publically bereft. Although he certainly had regrets about it, I sometimes think his fans were more upset about it than he was, because he never forgot how wonderful it was to play a game for a living, to do what you loved doing, and to make the choice to be happy. 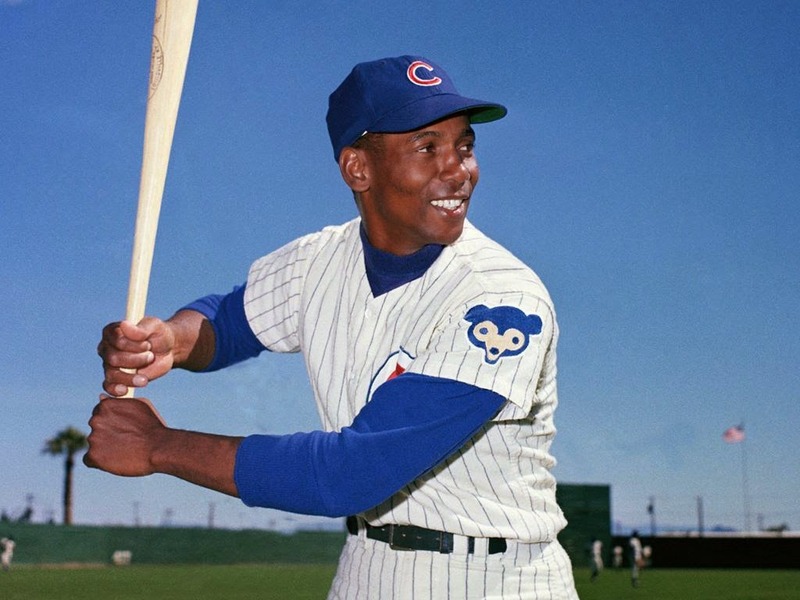 When he received the Presidential Medal of Freedom in 2013, he said, “What in the world have I done to receive this wonderful honor?” To that display of true humility, I can only shake my head in wonder, and continue to be grateful for having lived in the same world as Ernie Banks. My hero, Brother Ernie Banks, Mr. Cub, Baseball Hall of Famer, Presidential Medal of Freedom recipient, and truly beautiful man, was a member of Fidelity Lodge No. 103, MWPHGLIL, and was named Mason of the Year in 1959. He passed to the Grand Lodge Above on January 23, 2015, AL 6015, at the age of 83. His column is broken; his Brethren—and all who knew him—mourn. One of the difficulties of being certified to teach Masonic ritual is the requirement that the instructor can only instruct if asked. Too often, no one does. In Masonry, we tend to complain that the ones most in need of instruction are the ones who don’t show up to Workers’ Clubs and other schools. It’s not surprising, really. It’s not a problem specific to Masonry. I’ve been a high school and university teacher for nearly thirty years, and I’m fairly approachable, but the number of students who need individual attention is much higher than those who come to my office hours. So when a student actually shows up to office hours, my colleagues and I are usually delighted, at least if they're serious about learning, and not just bent on begging for extra credit. In Masonry, at least, you either know the Work or you don’t, so extra credit doesn’t come up. I can’t speak for other instructors, but I’m always impressed by Brethren who take a serious attitude toward learning the ritual and the floor work, and I’m eager to help anyone who asks. So the last time we had a District School, I asked the certified instructors to stand, and told the Brethren assembled there that we couldn’t instruct them if they didn’t ask, and that we would all be grateful if they would do so. A couple of nights later, I received a call from a Junior Deacon at a lodge nearby. He had been present at the District School, and was wondering if I could give him some personal instruction on his floor work, as he felt like he didn’t know what he was doing. We agreed on a day and time, and when I got there, the Master-elect, Junior and Senior Deacons, and the Junior Warden-elect were all waiting. It was just the kind of Masonic teaching situation I like: plenty of time for individual attention, for going over small details on which big things turn, and with the added bonus of being able to have the Deacons work together, which is never easy when you're trying to figure it out for the first time. After 90 minutes, everyone had shown marked improvement, not so much because of my instruction, but because they had shown up ready and eager to learn. Being able to do it right mattered to them, and that attitude amplifies learning a hundredfold. It wouldn’t have happened if the Junior Deacon hadn’t picked up a phone to ask me to teach him. So I make a plea to all my brethren who want to get better at ritual and floor work: ask for help. There are instructors out there who will drive a long way and spend a lot of time just to help one brother learn our wonderful Work. They took a long time to earn a commission as a Certified Lodge Instructor or a Grand Lecturer, and that commission is an implicit offer to teach anyone who asks. Take them up on it. They’re waiting. "In 18th century England, it was odd to find people organized for the purpose of giving aid to those in need and of pursuing projects for the benefit of all mankind. Those who belonged to such an organization were called 'Odd Fellows.'" I get the question a lot. 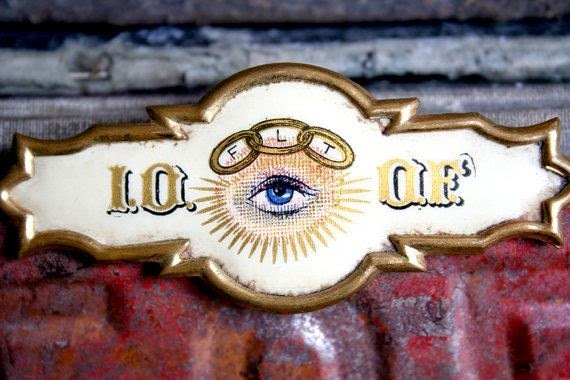 Believe it or not, the Independent Order of Odd Fellows (I.O.O.F.) is not affiliated with or an appendant body of Freemasonry. However, it is pretty obvious that the two Fraternities are very similar in both the symbolism they use, the values they share, and in the way they began. Both Fraternities use many of the same symbols--the "All Seeing Eye," the sun and moon, the Holy Bible, and the beehive are of a few of many symbols used by both Fraternities. 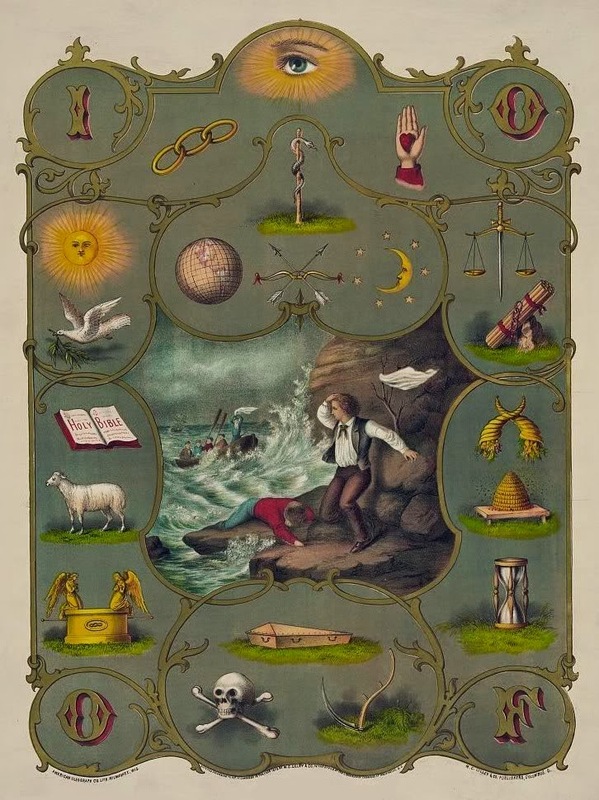 Freemasons will readily recognize nearly all of the symbols on the Odd Fellows chart below. They also have an initiation and degree system much like Masonry, and use aprons as part of their regalia. Some of the symbols used by the I.O.O.F. Another cause of confusion is because throughout history, many Freemasons have also been Odd Fellows. Famous Freemasons like Winston Churchill, William McKinley, Franklin Roosevelt, Red Skelton, and Chief Justice Earl Warren were also members of the Independent Order of Odd Fellows. In fact, one of the best known Masons, Albert Pike, was an Odd Fellow! It has been so common that you'll find the Freemason Square and Compass, and the Odd Fellows' three links used together often in Fraternal jewelry and elsewhere--I have an example of a joint Freemasonry/Odd Fellows lapel pin in my collection, and have often seen the symbols used together on grave stones of men who were members of both Fraternities as in the example below. Much like Freemasonry, the Odd Fellows claim their roots go back to the trade guilds in the 12th and 13th centuries. They are a values based organization like Freemasonry with a desire to help men improve themselves, but while Freemasonry's main objective is to "make good men better" the emphasis of the Odd Fellows is in contributing to charitable works and providing aid and assistance. The three chain links of their symbol represent Friendship, Love and Truth. While the similarities between the two fraternities are obvious, they are very different organizations. The Odd Fellows was the first Fraternity in the United States open to both men and women. They were also the first to build homes for their senior members and for orphaned children. There is a common misconception that the Odd Fellows is a copy of Freemasonry. Many fraternities have borrowed heavily from the rituals and traditions of Freemasonry, and there are a lot of comparisons that could be made between Freemasonry and the Odd Fellows. Maybe the Odd Fellows borrowed from the Freemasons, or perhaps the two organization evolved their rituals and traditions along similar lines because they share a common history going back to the trade guilds. Or maybe it is because so many of their members throughout history have belonged to both organizations. Whatever the truth may be, both Fraternities have done remarkable work in making good men better and the world a better place in which to live. In fact, there has always existed a mutual respect between the two Fraternities, which is why so many Freemasons have become Odd Fellows, and so many Odd Fellows belong to Masonic Lodges. It's not their problem, it's yours. And it's called resentment. When Todd Creason and I wrote an article about Quick Masonry, we expected that it would attract some interest, but the amount of discussion it generated on Facebook and elsewhere took us by surprise. The comments mostly fell along the lines we had talked about: Blue Lightnings/One-Day Classes versus traditional degrees (there wasn’t much talk about the short-form catechism). Most of the commenters preferred—strongly—traditional degrees. As it happens, so do Todd and I. However, some of the commenters went so far as to disparage the Brethren who, for whatever reason, took the Quick Masonry route, going so far as to calling them “McMasons.” (McMason defined - here) I realized, on reading those comments, that we had not addressed that point in our original piece, so I decided, with Todd’s encouragement, to write a follow up. 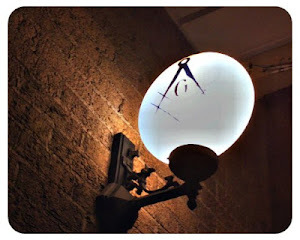 The criticisms of Masons who were products of one-day classes or Blue Lightnings were generally focused either on their experience (“they’re not getting what they should”) or their person (“they’re not real Masons”). The former is reasonable, and is really not a criticism of the Brothers who went the non-traditional route, but of the Craft itself for allowing a “weakening” of the experience of becoming a Master Mason. The latter, however, is not reasonable. It is a criticism of men who, in good faith (as we must presume), became Masons according to the rules promulgated by their Grand Lodges. To say that they are not real Masons is not only to dishonor them: it is to dishonor Masonry itself. It says nothing bad about the criticized, and nothing good about the critic. 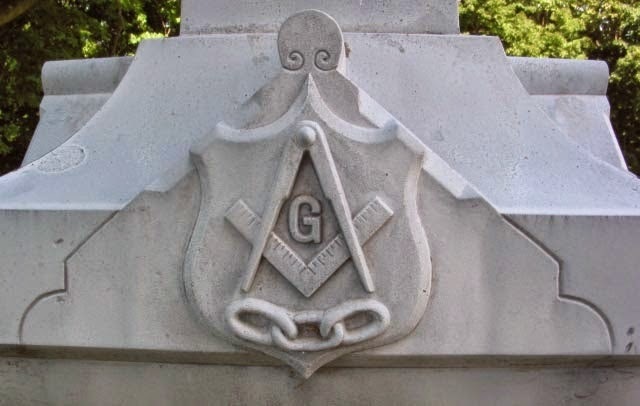 Worshipful Brother Robert Johnson, editor of the Midnight Freemasons, tells me he hears “McMason” a lot, and shared with me an excerpt from a fairly typical email he received: "I don't understand how we can just give away Masonry for a check. I had to work for 4 months to become a Master Mason. What have they done? Nothing. It like working and getting paid, and then your boss hands over another paycheck to a guy who shows up and has never worked before." (Matthew 20: 1-16 might be instructive here.) Brethren who talk this way are not just denouncing their new Brother; they are not just vilifying their Grand Lodge for its willingness to bring Masonry to men who might otherwise be unable to receive their degrees; they are setting themselves up as arbiters of what a Mason is, as if they themselves are on some Masonic pedestal to which these “inadequate” Brethren must aspire. I have no doubt that it is well meaning, and comes from a love of Freemasonry, but it does no one any good. What happened to meeting on the level? The Mason who is raised in a Blue Lightning isn’t buying Masonry, and the traditionally-raised Mason loses nothing by that Blue Lightning. The moment they’re raised, they have before them the world of the Craft, and it’s up to each of them to embrace it. Brethren, please stop criticizing your Blue Lightning Brethren, and, if you’re able, teach that Brother who you think didn’t get what he should have. Become his mentor. Be an example of what our gentle Craft can be. Be his Brother. 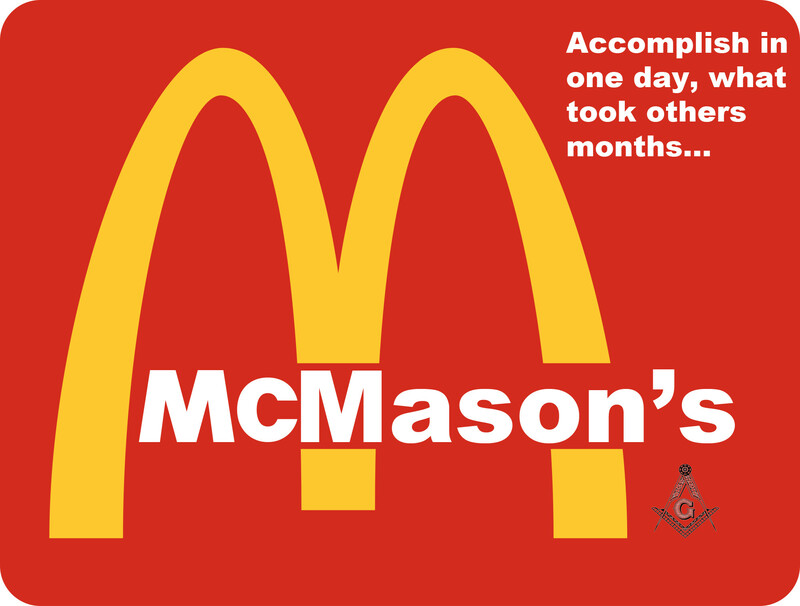 But don’t think you earned Masonry and he didn’t. Masonry is a gift, and we need to treat it as such.